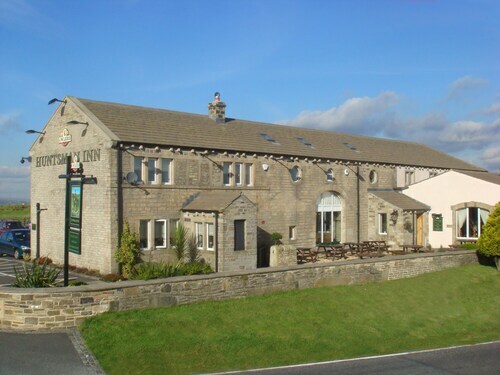 Situated in Holmfirth, this inn is within 6 mi (10 km) of North Light Gallery, Castle Hill, and Beaumont Park. 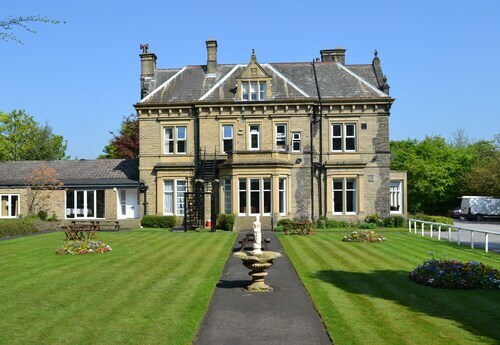 Woodsome Hall Golf Club and Grosvenor Casino Huddersfield are also within 6 mi (10 km). 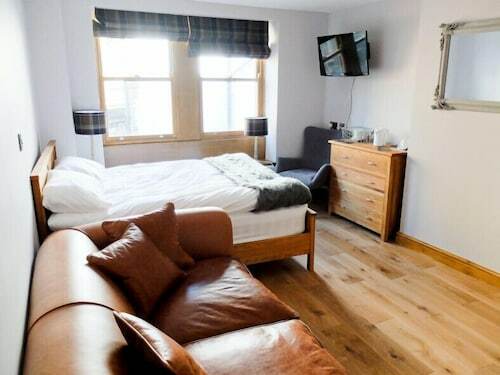 Located in the heart of Holmfirth, this inn is within 6 mi (10 km) of North Light Gallery, Castle Hill, and Beaumont Park. Peak District National Park and John Smith's Stadium are also within 9 mi (15 km). 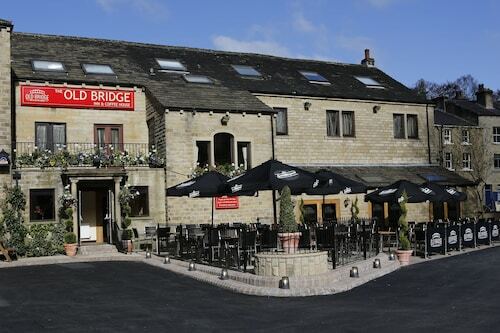 Situated in Holmfirth, this inn is within 6 mi (10 km) of North Light Gallery, Beaumont Park, and Castle Hill. John Smith's Stadium and Grosvenor Casino Huddersfield are also within 9 mi (15 km). 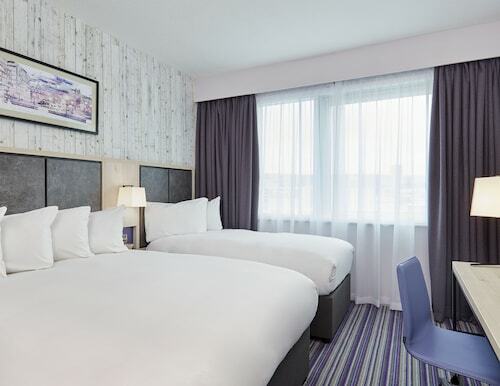 Situated in a rural location, this hotel is 3 mi (4.8 km) from North Light Gallery and within 6 mi (10 km) of John Smith's Stadium and Beaumont Park. Grosvenor Casino Huddersfield and Huddersfield Town Hall are also within 6 mi (10 km). Situated in Holmfirth, this inn is within 6 mi (10 km) of North Light Gallery, Langsett Reservoir, and Castle Hill. Woodsome Hall Golf Club and Beaumont Park are also within 6 mi (10 km). How Much is a Hotel Room in Holmfirth? Hotels in Holmfirth start at $49 per night. Prices and availability subject to change. Additional terms may apply. Are you researching an adventure in West Yorkshire and want to find somewhere to stay in between making memories in Holmfirth? Travelocity can help you. Take your pick from 11 apartments and hotels within a short distance of the heart of Holmfirth which are listed as part of Travelocity's booking portal. 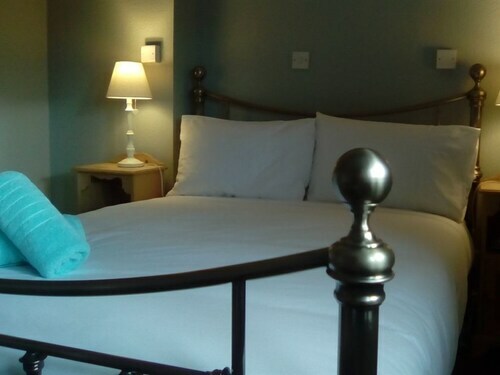 One of the best of just a small number of hotels near the heart of downtown Holmfirth, is the Holmfirth Vineyard. The The Chambers - Park Place - Apartments is positioned 20 miles (32 kilometers) from the downtown precinct of Holmfirth. 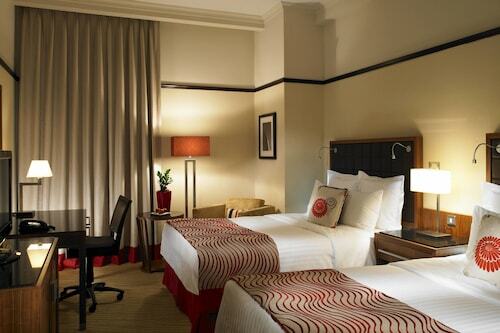 If you would prefer another option, the George Hotel is 17 miles (28 kilometers) away. Some other Travelocity-listed hotels are the Croft Mill - Apartments and the Wind In The Willows - Hotel. 25 miles (41 kilometers) from Holmfirth, you can find Ilkley, which is where you can explore Ilkley Moor and Ilkley Toy Museum. The Best Western Rombalds Hotel and Craiglands Hotel are just some of the Travelocity-listed lodging options in Ilkley. 20 miles (35 kilometers) to the north of Holmfirth, is Yeadon, which is home to the Chevin Country Park Hotel & Spa and Hillcroft Barn. The Yeadon Tarn Park and Yeadon Town Hall are more frequented attractions to experience while in Yeadon. Make sure you spend a few hours enjoying the thrills and spills in the company of sports enthusiasts at an exciting match. You'll find Old Trafford 20 miles (33 kilometers) to the west of Holmfirth. 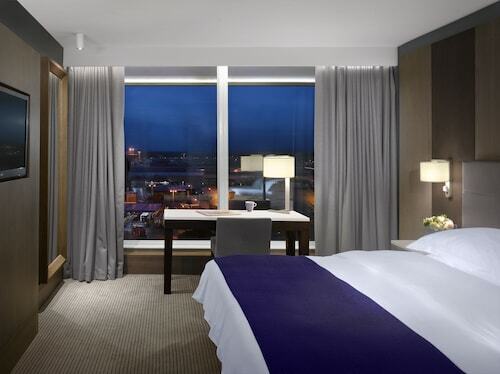 Modern visitors that wish to find a room or apartment close to the stadium can take their choice from the Dreamhouse Manchester Bloom Street or the The Lowry Hotel. Located 20 miles (36 kilometers) away from Holmfirth's center is Leeds Bradford Airport. 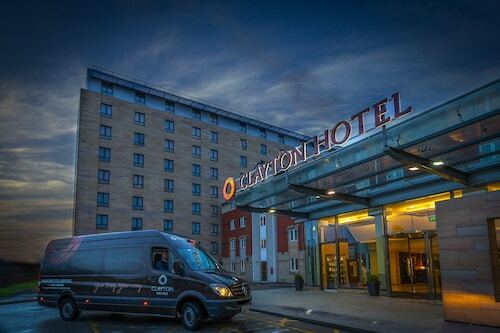 Base yourself in the area at The Half Moon Inn or Britannia Leeds Bradford Airport Hotel. Very modern and up to date. It was convenient to get to the airport. The maid service was attentive and never had to be called to replace anything. 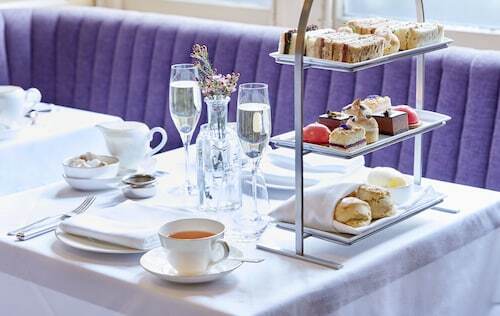 The room service food was very good and delivered in a timely fashion and with friendly staff. We Loved The Manchester. It was right in the middle of town and walking distance to everything. The Hotel is beautiful and the staff and Spa were fantastic. I would stay here again. The pool was closed for repairs and the room AC did not function properly. Hotel is in city centre shopping area, and street noise can be a problem. The manager did try to address my complaints by upgrading my room, but I chose instead to move to another hotel. Hotel was good. Food/Bar experience was terrible. Order was 'misplaced' and we waited over an hour. Did query other member of staff who said they would check but clearly they did not. Fortunately we were able to attract the attention of a manager who cleared this up. Room was not vacuumed all week and never received enough towels or toiletries each day. Even after requesting additional items either did not receive them or was long delay.